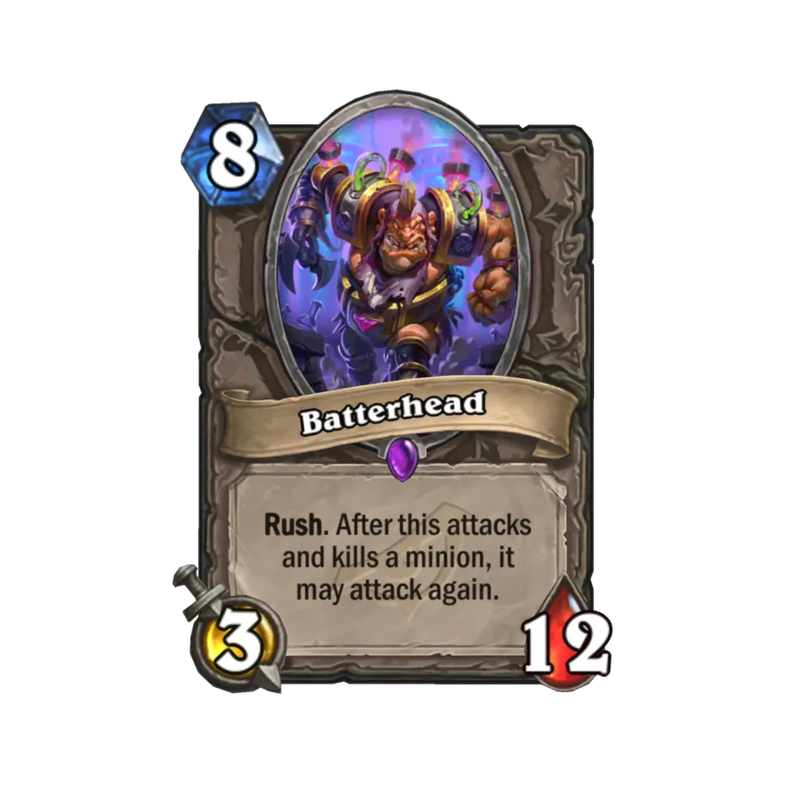 Batterhead is an Epic neutral minion from Rise of Shadows. This looks like an insane Arena card. In Constructed, there are many ways to buff its attack for better trades, Priest can do its Inner Fire or Lady in White shenanigans and Paladin can give it Lifesteal with the new Lightforged Blessing spell. Batterhead can potentially be good in classes that lack decent board clears. However, I don't see this being played without finding a way to cheat this out in an earlier turn; only Shaman with Eureka! can effectively do that. 3 attack for 8 mana is just not that good.